The Circus is ALMOST here! Don’t forget the Circus will arrive soon! Are you ready? We sure are! 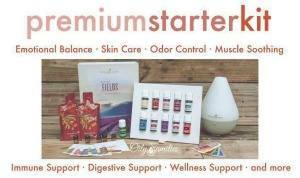 Have you entered to win tickets? 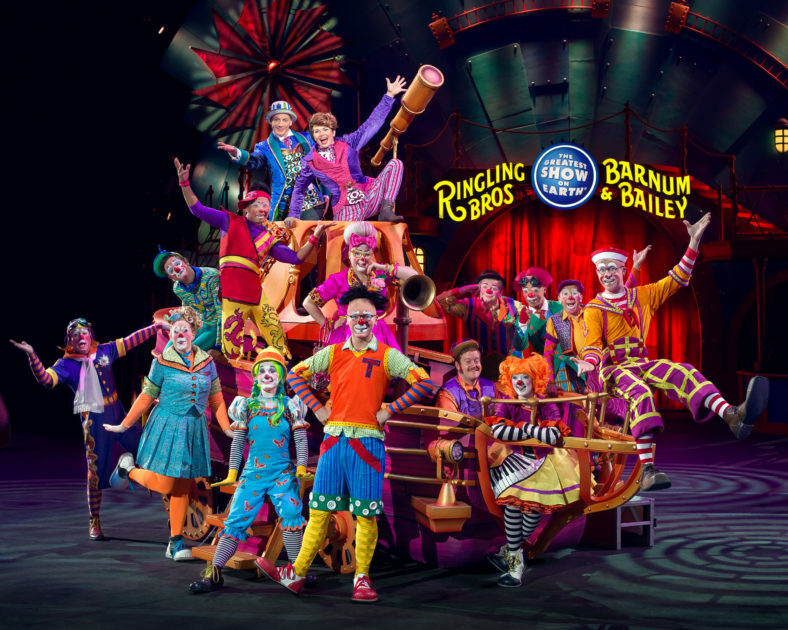 (go to our previous post HERE) The Ringling Bros. and Barnum & Bailey circus is coming to Phoenix and WE have discount codes for you PLUS we are giving one reader a 4-pack of tickets to the Opening Performance at 1:00 PM on Thursday, June 23rd ! 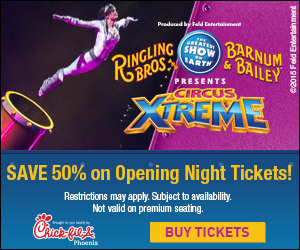 Bring the Family, Ringling Bros. and Barnum & Bailey® is Bringing the XTREME! To Talking Stick Resort Arena in Phoenix! Prepare to be astonished and amazed by artists who redefine the word extreme in everything they do, magnifying traditional elements of the circus and combining these elements with never-before-seen spectacles, original, fast-paced performances and incredibly hilarious moments. Children Of All Ages can let their imaginations go wild in an exhilarating adventure with extreme thrills, exotic animals and extraordinary performers that add up to the ultimate family entertainment experience. High-wire wizards, powerful strongmen, BMX trick riders, trampoline daredevils, inconceivable contortionists, a high-flying human cannonball, a bungee aerial skydiving display and an international assembly of more than 100 world-renowned artists provide 2 ½ hours of thrilling entertainment. Do something extreme today, and get your tickets for Ringling Bros. and Barnum & Bailey® Presents Circus XTREME at Talking Stick Resort Arena, June 23 – 26, 2016. Ticketholders can purchase an upgrade and go backstage with a VIP Behind the Scenes Tour of Ringling Bros. and Barnum & Bailey. To take advantage of this once-in-a-lifetime experience, just log on to ringlingbros.expapp.com from your iPhone or Android smartphone, and provide your name, e-mail and phone number to become a VIP circus insider. All seats are reserved; tickets available thru Ticketmaster.com, charge by phone at 800-745-3000 or visit the Talking Stick Resort Arena Box Office.